John Hardy's Bamboo collection speak to a greater meaning of growth and prosperity within the Balinese community. Swinging daintily with finesse, these medium hoop earrings add a touch of nature to your daily ensembles, while at the same time flourishing Bali soils with fresh bamboo seeds. 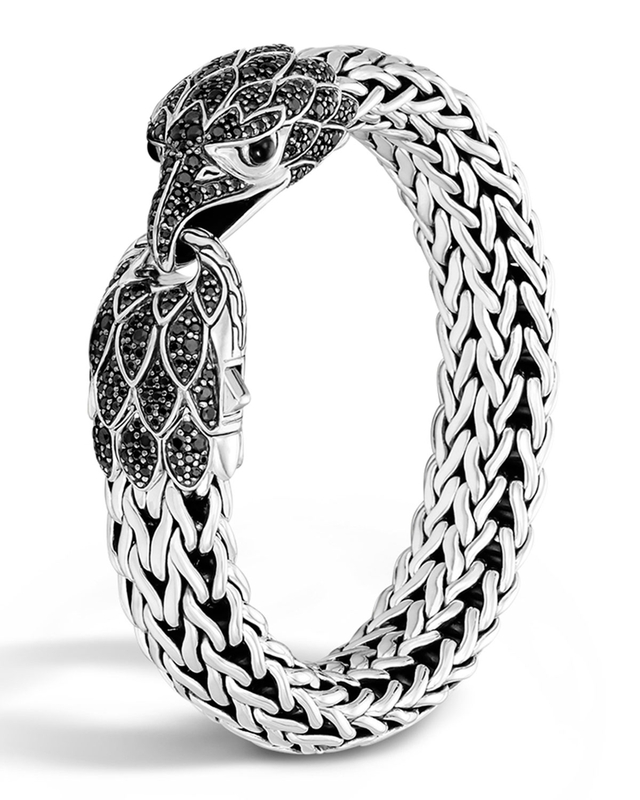 John Hardy Men's Batu Dayak Silver Bead Bracelet in Onyx Details From the John Hardy Dayak Collection. Sterling silver stations with tattoo-inspired detail Black onyx beads, 5mm. Square metal spacers with blackened detail. Men's size medium. Handcrafted in Bali. 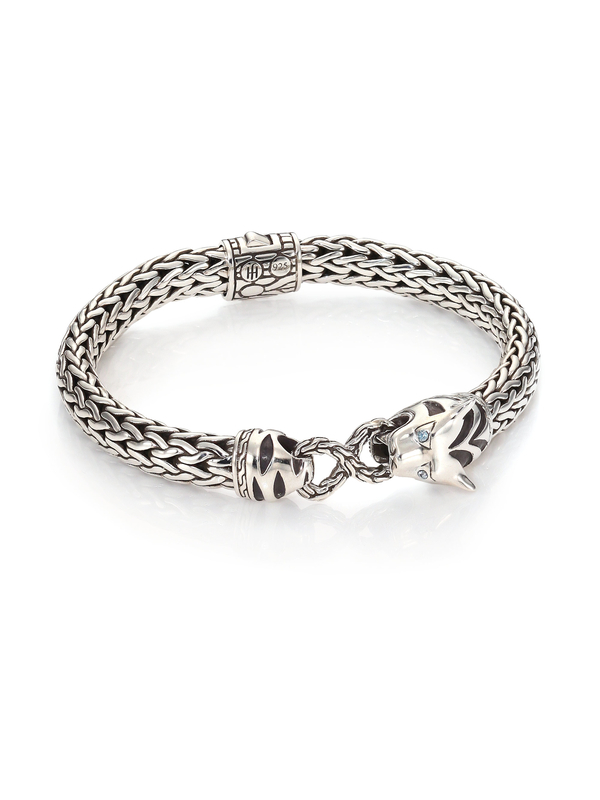 John Hardy bracelet from the Naga Collection. 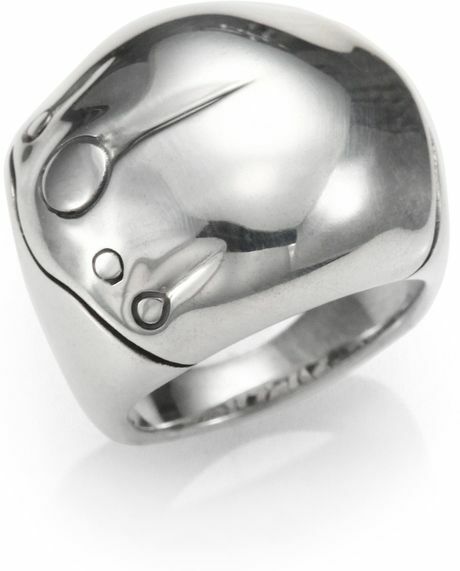 Segmented sterling silver double-coil cuff. 18-karat yellow gold detailing. Inset blue sapphire eyes.